Hipster-nation has taken over the the USA. Whether you are in Brooklyn, Portland or Nashville, their stereotypical fashion style has caught your eye: horn rimmed glasses, bow ties, selvedge raw jeans, handcrafted leather accessories and a splash of plaid. But did you know that hipster style goes beyond just us humans? 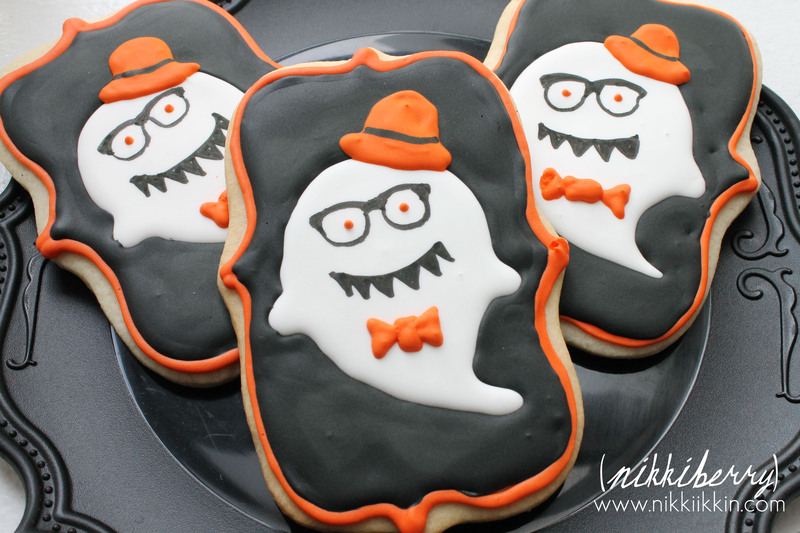 It is just as recognizable on ghost cookies, as one of my instragram followers pointed out when she called my ghost cookies hipster ghosts. Well, I guess she was right, this ghost does look like a hipster but Im not sure he was meant to be. His designer, Matthew of Design By Detail is in Hull, England. Do they have Hipsters in the UK? Maybe…probably so, since style is global now. 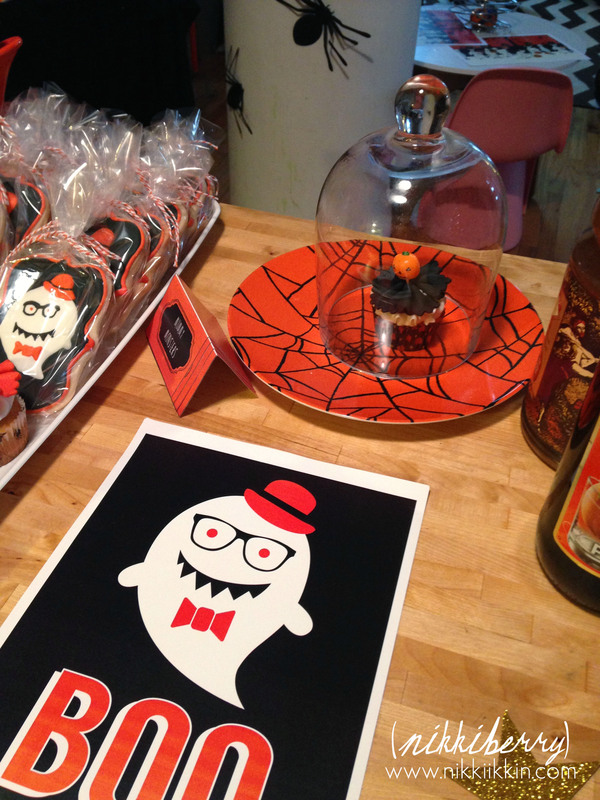 Last year I discovered Matthew’s shop on etsy while preparing for our Halloween open house. I loved his graphic style printables and ordered my invites and several of his Halloween signs (including a “hipster” bat). 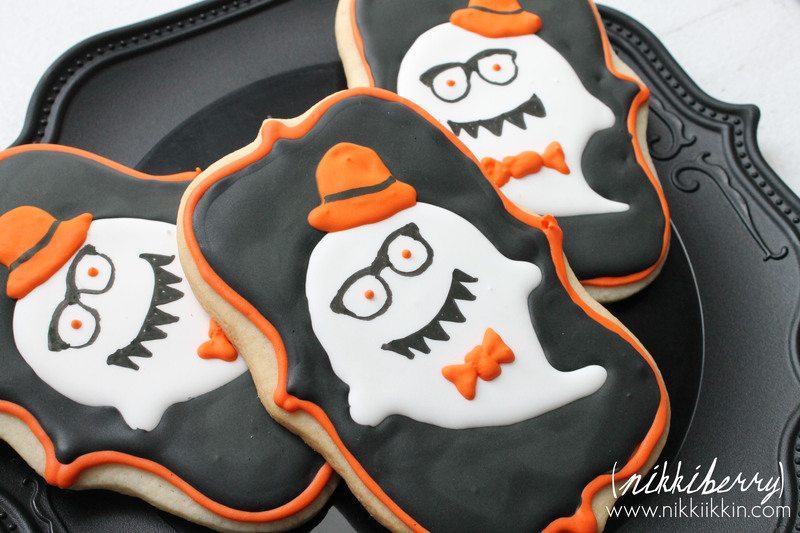 This particular cookie design was used with his permission and everyone loved how unique he was. I gave the cookies (along with many other treats) away at our party. I ejoyed working with Matthew so much that I asked him to design a sweets logo for me. I needed something new to put on my cookie bags. 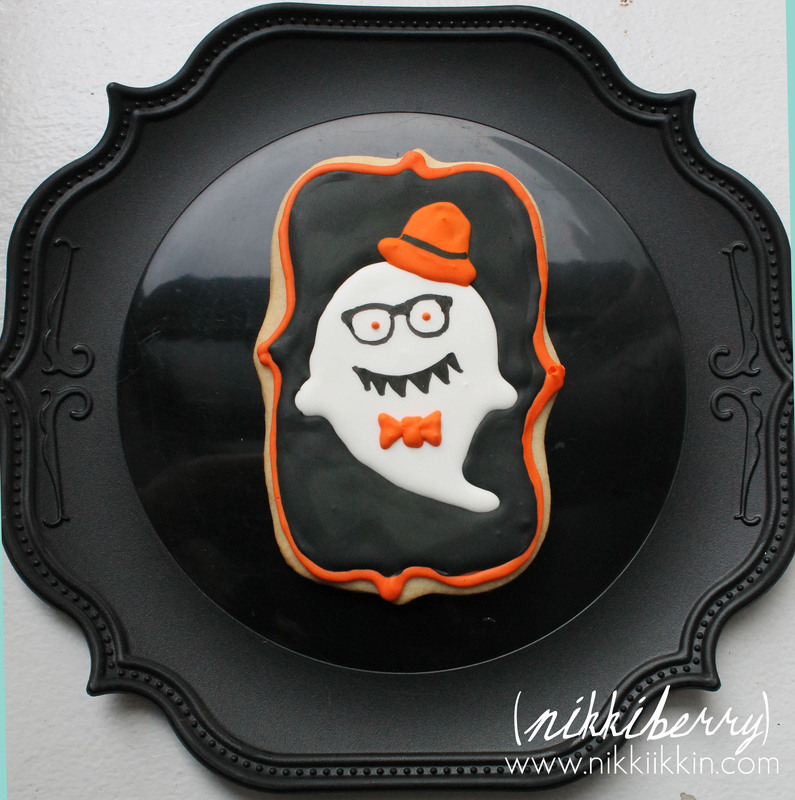 He did a great job at using my cake plate idea and an even better job at emphasizing my blog & etsy shop name Nikkiikkin. 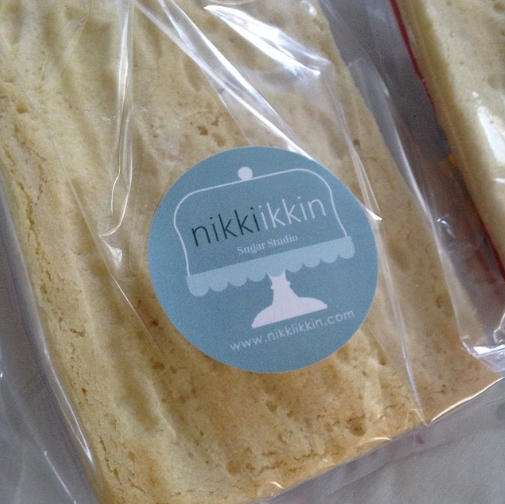 It never really occured to me that someone didnt see that it was the name Nikki forward and backwards. When Matthew put the two words in different colors yet still spaced as one I had instant feedback from a friend, “I just realized nikkiikkin is nikki and nikki backwards” Which was a perfect reaction! The new logo caught her attention and read better. I had tried to portray that myself in a few logo renditions. I started my blog with a header logo that had nikki mirrored (backwards) with ikkin but it was a pain to continue seamlessly with other account names since you cant actually type font backwards. I also tried to make both n’s capital, that didnt do much for me either. 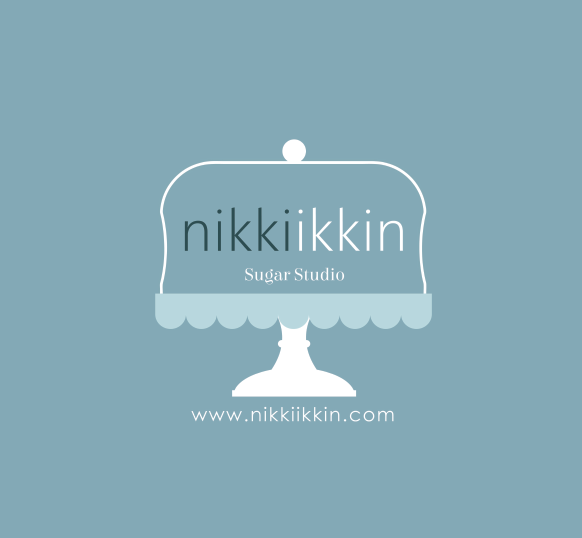 I really like the two tone and even though my blog and etsy headers are not with a cake plate ( I reserve this logo just for round stickers) I stuck with this look. You can check out Design by Detail on etsy for branding, logo design as well as really great printables for parties here.